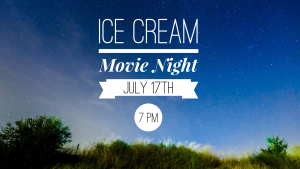 Summer nights call for ice cream sundaes and movie night at Knowles! Cornerstone is providing ice cream and toppings. Bring a blanket or lawn chairs for your family.